Top quality tennis balls for top quality players! 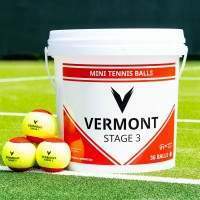 Whether you’re travelling the world displaying your talents on the ATP tour or you’re a youngster just starting out, here at Vermont Sports we firmly believe that our tennis ball range is the best on the market as it covers all stages of a tennis player’s development. We set out to create a tennis ball that is fit for a grand slam final, and with our brand new Vermont tennis ball, we’re sure Roger Federer would feel right at home striking these balls to Grand Slam glory. 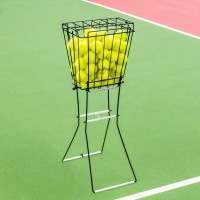 Before the mass ball pick-up can begin however, the tennis balls must be stored and transported about and here at Vermont Sports, we offer two excellent tennis ball hoppers. Both double up as excellent ball-collecting tools, making them perfect for tennis clubs and coaches. The first is a classic 72-ball steel hopper with legs that convert into handles for portability and the second is a more modern design, with the 85-ball Tennis Ball Roller Mower & Hopper converting into a ball mower with minimal effort keeping the balls safe and making it super-easy to collect them when the session is over. 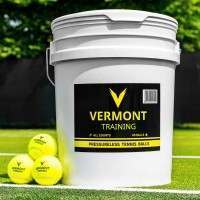 Vermont Sports also offer a 325-ball capacity tennis ball cart which is perfect for those large academy sessions where shot volume is the ultimate aim. 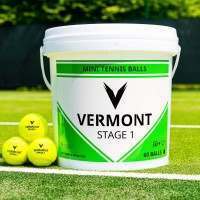 Vermont Sports has more than one string to its bow when it comes to premium-quality tennis balls and with our Dunlop tennis ball range, the premium-quality tennis ball range is just getting started. Beginning with the 60-ball bucket of Dunlop practice tennis balls, you’ll be taking your training sessions to a whole new level with these balls. As well as being high-quality tennis balls, the bucket provides excellent portability and makes storing these tennis balls an effortless task. 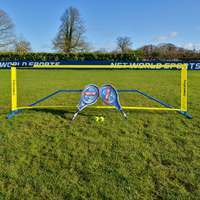 When you combine the value for money, volume of tennis balls, portability and excellent storage, this bucket of balls is an absolute must-have for schools, parents and tennis clubs. Next up in our Dunlop tennis ball range is the Dunlop Fort All Court Tennis Ball. 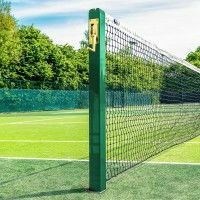 An absolute classic when it comes to tennis balls, this ball has been catapulted into current times with some modern technologies whilst still retaining its traditional characteristics. Infused with the innovative Dunlop HD Core technology, this ITF approved tennis ball ensures maximum control of power and precision when unleashing that match-winning forehand straight down the line. 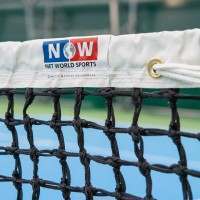 This ball is just as at home on the outdoor courts of a village tennis club as it is being smashed around by the professionals on the Rod Laver Arena, making it the perfect tennis ball for all abilities. 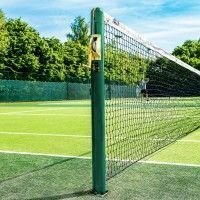 It’s added durability ability means that you can practice for hours and hours with this tennis ball and still receive consistently high-performing results. Introducing the brand new, ground-breaking Vermont Tennis Ball range. 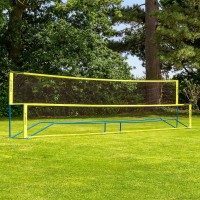 With this tennis ball range, you’ll be sure to have all aspects of tennis play covered. 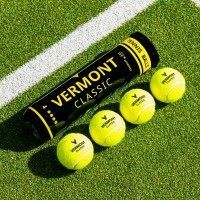 For an across the broad approach, the Vermont Classic Tennis Ball is the perfect tennis ball for all. Designed to compete with the Dunlop Fort All Court, this tennis ball is perfect for high level use with its excellent quality and durability. Just as good as a premium tennis club ball, this tennis ball will never let you down. 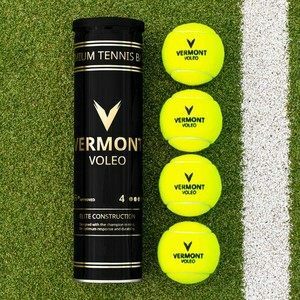 If professional-quality, fit for a grand slam-type tennis ball is what you desire then look no further than the Vermont Voleo Tennis Ball. A more responsive and livelier tennis ball compared to the Vermont Classic, this tennis ball is designed to be played at grand slam level. Fit to compete with the likes of the Slazenger Wimbledon Ball, this ball will allow the elite players ultimate control when exuding unbelievable power through your tennis shots. You’ll not be far off ATP and WTA tour glory with this tennis ball. 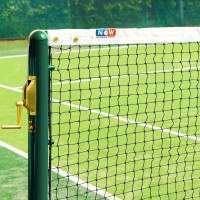 We all know that any glory achieved on the match court is thanks to hours and hours of gruelling tennis practice. To get the best out of those hours it’s imperative that you have a tennis ball designed to meet the demands of top-quality tennis training. Well now you do with the Vermont Training Tennis Ball. These pressure-less tennis balls are specifically designed with durability in mind. 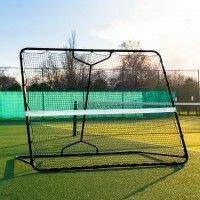 Perfect for coaches who have a large amount of tennis players to coach at one time, these balls will not only maintain the quality levels of a tennis training session but also help take your players to new levels. The Vermont range also has the mini Federer’s covered too. With Vermont providing top-quality tennis balls for all three stages of a mini tennis players development, using these premium mini tennis balls will be sure to see your mini superstars rise all the way to the top. With stage 3 tennis balls (red stage), stage 2 tennis balls (orange stage) and stage 1 tennis balls (green stage) available and all with the ability to operate at the top of their game, there really is no tennis ball better for a mini tennis players development.